The combined APS (American Physiological Society) and EB (Experimental Biology) conference was full of excitement for me. This was my first migraine-associated presentation to scientists, MDs, and premed students. I have never presented a poster at any conference—I have usually given lectures. I was concerned. Will my posters catch any interest? Then I arrived at Chicago’s McCormick Conference Center and was shocked by its size and the size of this conference. There were 1500 poster boards, each with new posters every day for three days, in addition to booths and lectures. I took a deep breath. Here I share with you what I presented and some of the questions attendees asked, answers I provided, and offer a more comprehensive explanation of what migraine is. I am also including one of the two posters I presented. The first day I presented a poster under the EB session so most visitors were curious about the biological aspects of migraine. The second was presented under the Electrolyte Homeostasis session, which brought very different visitors and very different questions. I find it important to define what migraine is and then continue with my hypothesis, which is drawn in the middle of the poster, and I highlight it here for easier viewing. The answer is not pain. I found that the majority of those who have no migraines or never met anyone with migraines know migraine as a pain in the head. The truth is pain is just one – and not even mandatory – aspect of migraines. For me, presenting the real definition of migraines equals to explaining the conclusions of my many years of research. Why do the migraineur’s neuron contain so many more receptors and neurotransmitters? Does that have anything to do with pain? And if so how and why? Hypothesis 1: If you look at many mammal species in the wild, you find they are always on alert for predators. If they are not on alert, they are likely to become food. For these species the hyper-sensory alert brain is the default. 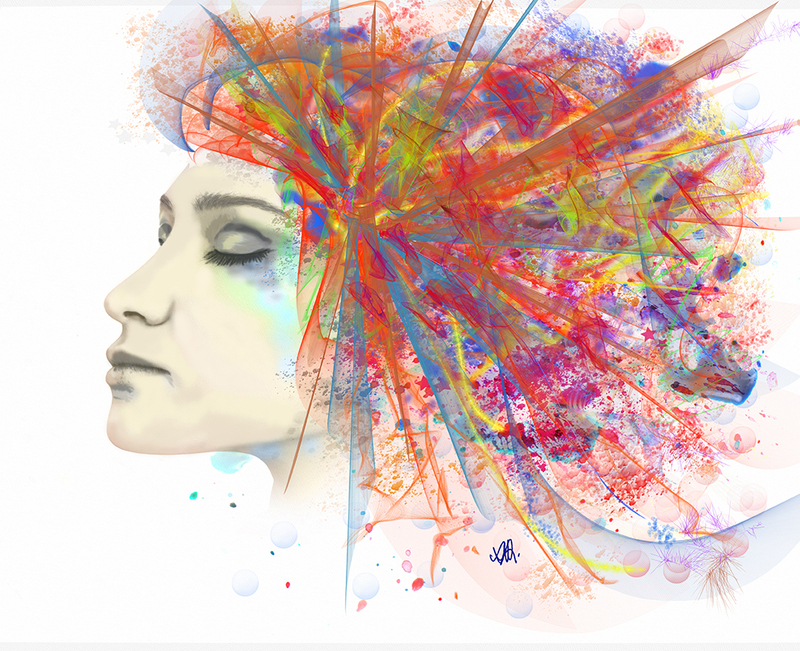 The migraine-brain is a hyper-sensory alert brain. Hypothesis 2: If hyper-sensory brain can be the default then such a brain, the migraine-brain, is the default mammalian brain that all human ancestors must have had at one time. Since this brain is still very prevalent in the human population (15%), it must have represented a significant survival advantage in ancient times. Today, however, the majority of humans do not have this brain type. Hypothesis 3: While the majority of humans were able to adapt to more modern lifestyles and food supply, some could not; their brain remained unchanged, still holding onto the ancient traits and retained hyper sensory organs. These then are today’s migraineurs. Hypothesis 4: The tendency for electrolyte imbalance is a sign that the migraine-brain is greatly compromised under modern nutritional challenges. While the majority of humans adapted to the use of carbohydrates for fuel during our recent evolution, migraineurs did not. Up until about 15,000 years ago carbohydrates formed minimal part of the human diet. Hypothesis 5: The ancient brain (in some of its traits) may go back as far as the Euarchontoglires (100 million years ago), the first common ancestor to all mammals and primates. The early mammals had a few special traits that appear to be connected to migraine-brain. Two of these are the Ehlers-Danlos Syndrome (EDS) and Raynaud’s Syndrome. Both of these are highly connected to migraine and to each other and are ancient traits that some small mammals still carry today—and apparently a very large percentage of migraineurs do as well, although in the general population the percentage is minuscule. Hypothesis 6: Migraine is a neurovascular condition (not a disease) that is an evolutionary throwback. Neuro because it is neuron voltage energy generation problem and vascular because of the different vascular structure migraineurs have from non-migraineurs. Both EDS and Raynaud’s are vascular in nature and EDS is also associated with hyper mobility and being disjointed, which was a very important adaptation in early mammals and still are in many, such as cats, often referred to as floating shoulders. Having a different vascular system allows for more flexibility without vascular damage. Hypothesis 7: Migraineurs have a very different vascular system from non-migraineurs. I propose the vasculature segments are shorter and more numerous. 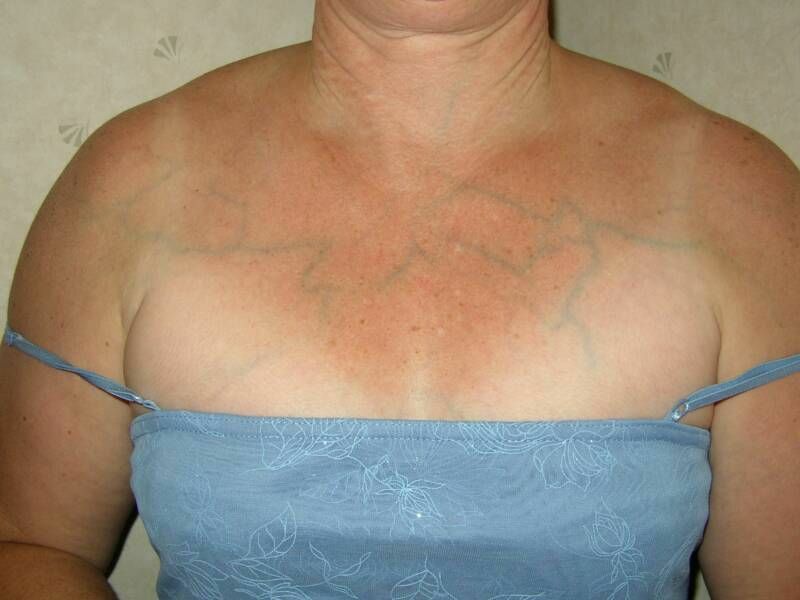 This can often be seen on the skin of people with EDS because they also have very thin and transparent skin. Shorter vascular regions allow for more flexibility along with the hyper flexibility of those afflicted with EDS. Hypothesis 8: Migraine brain is of the era when being disjointed and having different vascular system was an evolutionary benefit. From evolutionary throwback perspective then it makes sense that migraineurs are glucose sensitive and carbohydrates intolerant, since at that time, carbohydrates and glucose were not consumed. I only listed 16 gene variances from the 1293 currently associated with migraines (highlighted important words), though as more research is conducted, this number is certain to grow. Some variances that have low score—such as insulin resistance—will likely move to higher scores since migraineurs are associated with a very high incidence of metabolic disorders, specifically migraine is associated with insulin resistance (3) as a result of being glucose sensitive. Pharmaceutical companies have spent much of their migraine-allocated time developing drugs that block migraineurs’ voltage gated channels that are different from that of the standard population, without any concern why they are different. As a result, these channels cannot work at all when medicated. Of course, just as there is no point in medicating blue eyes, a genetic variance, so is medicating a type of voltage gated channel is futile. It takes a bit of understanding why. At the conference I spent eight hours a day for two days explaining this to doctors, scientists, and even representatives of big pharma. It took me 10 years to figure it out. Since “…serum Na+ falls by 1.4 mM for every 100-mg/dL increase in glucose, due to glucose-induced H2O efflux from cells” (4) (page 4), you can immediately see that as glucose enters the cells, sodium (Na+) falls and water (H2O) leaves the cell, causing major electrolyte disruption. Regular human brains that have adapted and are able to reset electrolyte homeostasis with ease have no trouble. The migraine brain cannot because all associated voltage gated ionic pumps and channels are in their ancient forms, where carbohydrate consumption was too minimal to matter in electrolyte dysregulation. The long epoch in which the hyper sensory mammalian brain was still the dominant variant of humanity, sugar and grains were not part of the diet at all and very little if any carbohydrates were consumed. The migraineurs’ exaggerated reactions to carbohydrate consumption shows that they have a problem with glucose metabolism. With this major negative, is there a way to prevent migraines without the use of any medicines? Absolutely. Before I detail the proper migraine nutrition, I would like to answer a question I received from some doubters during the conference. Facing a skeptic is great, it forces the scientist to come up with the appropriate answers. If MF > M AND M > P then MF > P – that is medicine free is better than placebo. So what is medicine free and migraine free? 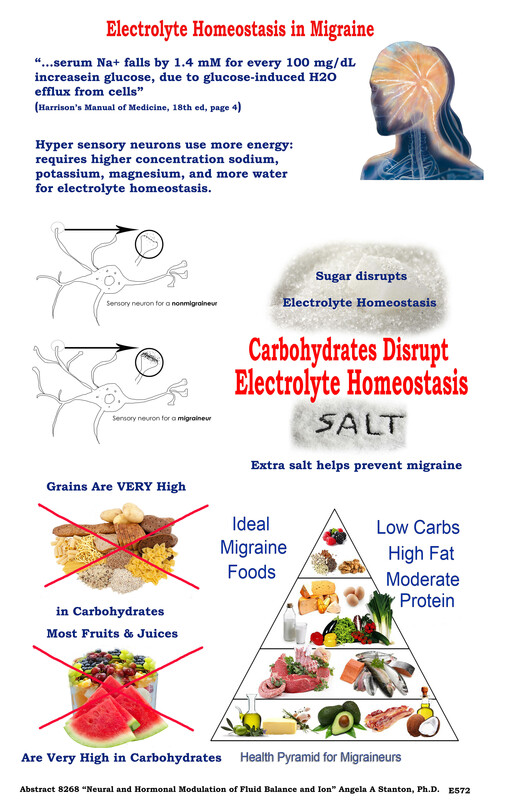 It is quite simple: since migraineurs cannot use glucose as energy and if they try they end up with major electrolyte disruption as a result, it implies that by stopping the consumption of carbohydrates migraines can be prevented. Certain amount of protein also converts to glucose (gluconeogenesis) so controlling protein amount is also important but less critical. Can migraineurs eat any carbohydrates? Yes, they can but minimal and highly fibrous. Carbohydrates of up to 5 net carbs grams (total carbs – fiber = net carbs grams) per meal seems to be tolerable by all migraineurs. For example, a migraineur can eat green leafy salads, cucumbers, zucchini, avocado, and many similar foods. However, she cannot eat a slice of bread, an apple, or drink smoothies, fruit juices, or soft drinks. See below the poster I showed in Chicago, summarizing what I just wrote and also showing what a migraineur should or should not be eating. So we are dealing with a brain that is not used to eating carbs and this leads to glucose sensitivity, leading to major reaction to glucose with edema and sodium leaving cells. 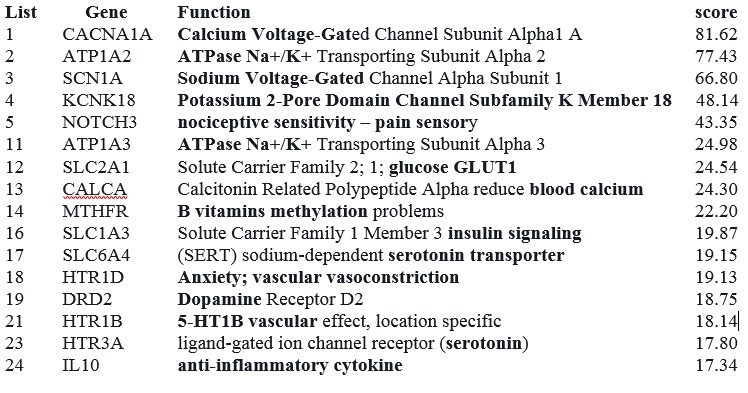 This leads to electrolyte dysregulation. Migraineurs on the Stanton Migraine Protocol®, LCHF, or the ketogenic diet, slowly taper off their medicines, their insulin reverts to normal and migraines typically vanish. Wei Y, Ullah G, & Schiff SJ (2014) Unification of Neuronal Spikes, Seizures, and Spreading Depression. The Journal of Neuroscience:11733-11743. Fava A, et al. (2014) Chronic migraine in women is associated with insulin resistance: a cross-sectional study. European Journal of Neurology 21(2):267-272. Longo DL, et al. (2013) Harrison’s Manual of Medicine 18th Edition (McGraw Hill Medical, New York). This article was published originally on May 3, 2017. Why is Endometriosis in Fetuses Important? I would like to know how do sugar alcohols (namely xylitol and erythritol) effect a migraine brain. Also, same for stevia (and does it matter if it’s the black unprocessed or clear) and monk fruit. I know that sugar alcohols get subtracted and so are not part of the net carbs. In the past I’ve noticed that IMO sweetener (which counts as fiber so is not part of then net carbs) has taken me out of ketosis, but I’m not certain and will need to retest this observation. 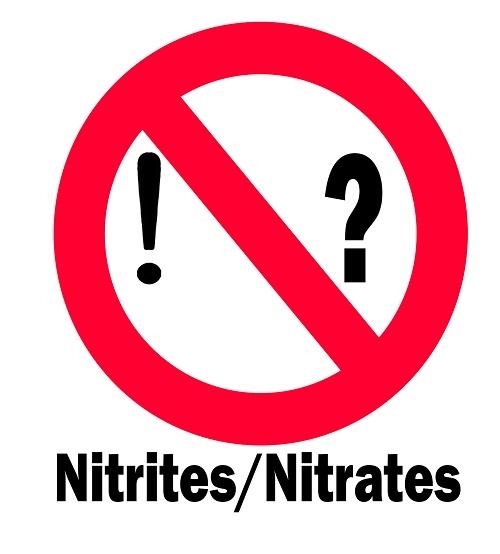 A migraineur should not consume any sweeteners–in ketosis or otherwise–not naturals, not reals, and not substitutes. They all present a problem because insulin responds to the sight of food as well as sweet taste and not just actual glucose in the stomach. So the sweet taste of stevia or xylitol, or any of the others, will release insulin, which then leads to a sugar crash. A sugar crash will give you a migraine and will assist your condition to be ever so closer to type 2 diabetes. It is well known and written in academic literature that all sweeteners–caloric or noncaloric–increase the chance to end up with T2D and migraineurs are strongly predisposed. I recommend you stick with keto and absolutely zero sweeteners. Microglia and mast cells are activated in migraine. There is a clear disruption in the endocannabinoid system in migraineurs. We know that PEA is elevated to combat elevations in CGRP. PEA therapy down regulates mast cells and microglia, Italian scientist won nobel prize for her work on PEA (palmitoylethanolamide). CBD (cannabidiol) while it does not bind to CB1 or CB2 directly seems to act by several mechanisms to reduce migraine activity. It slows the FAAH enzyme, increasing the duration and possibly absolute level of ANA (anandamide) which is available. It activates TRPV1 receptors which are also involved in pain. They think the GPR55 receptor is also a CBD target. CBD upregulates PPARy and PEA upregulates PPARa. one is involved in lipid metabolism, and the other in insulin regulation – there is your metabolic link. Interestingly CBD at low concentrations is an agonist, but at higher concentrations it can become an inverse agonist. We know CB1 is involved in leptin homeostasis and obesity/metabolic issues. People who are very thin and have anxiety may have a low functioning ECS (endocannabinoid system) and people who struggle with weight may have an overactive ECS….and both might find CBD at different doses helps, for different reasons (agonist vs inverse agonist). CBD also lowers glutatmate release. Excess glutamate is neurotoxic and involved in migraine. Taurine and creatine also can help with glutamate balance. As can B6, which is essential to the GAD enzyme which converts glutamate to GABA. Also…on endocannabinoids in general in neurons…we understand now that while neurotransmitters which are hydrophilic can be stored in vesicles, endocannabioids are lipid based and cannot be stored in vesicles. They are synthesized on demand and released into the synaptic space….they are a RETROGRADE signaling agent designed to fine tune neurotransmitter release. There are some true statements in what appears as a jumble of genetic stuff mixed with neuroscience and metabolism. Basically these are many words thrown around with little understanding of their relations–if any–to migraines. For example, AOC1 gene “mutation” (variant actually) is very low on the totem pole on migraine genes (see the human genome database here already sorted for you for migraine), so it is not significant. To see its significance, I ran my gene test for this out of curiosity, since as a near 40-year long migraineur, if this gene was important in my migraines, I would have expected this variant to show up in my genes but no such luck!! So there is at least one migraineur without such variant and thus the theory is up in air. This variant must not be participating in all migraines. 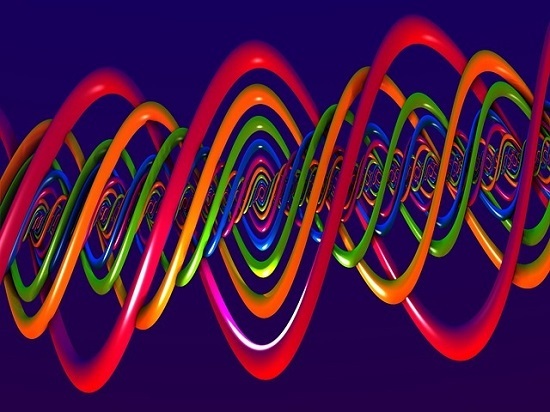 A gene variant that is necessary for migraines to occur, and has importance in the development of migraines, is expected to be present in all migraineurs. Not so, thus its importance is questioned immediately. 1) Histamines vasodilate, which is a bad thing for migraineurs and can cause a drop in blood pressure. Migraineurs already have very low blood pressure (when not in pain) so an additional drop is not a good thing. This though is not a migraine-cause–it is a cause for a possible electrolyte imbalance, which is the cause of migraine. 2) Histamines dehydrate. They do so because of the immune system response, which generates an antihistamine reaction (for allergies, this shows as runny nose and teary eyes) to wash out the invading pathogens or irritants. Thus histamines initiate dehydration by antihistamines, and that too is a bad thing for migraineurs. Thus histamines cause an electrolyte imbalance, which as noted just a sentence above, is the migraine cause. Microgial and mast cells activation is a symptom of migraine and not a cause. So a symptom treatment. Down-regulating mast cells is a symptom treatment, just like any medicines are for migraines. The endocannabinoid system is a pain processing system. Again, it is a symptom. A reduced glutamate release is actually welcomed in the case of migraines. Glutamate (glutamic acid), an excitatory neurotransmitter, can overstimulate the migraine brain–which is already hyperactive. So a reduction of glutamate is actually welcomed. In other words, everything you put on the table is about symptoms of migraine but nothing about the cause. I understand that most researchers look at migraine from the perspective of the pain because that is the most prominent feature that is known but migraine’s most prominent feature for migraineurs is not the pain but the disability that comes with vomiting, vertigo, diarrhea, loss of memory, loss of sensitivity of half the body (in case of hemiplegic migraine), speech difficulties, etc. See this video from one of my migraineurs–it was a speech challenge for her in some class but it is a testimonial, which explains some of the disabling symptoms of migraine. She and thousands of others are migraine AND medicine free because I was not looking at the symptoms but looking at the cause. I have described the cause in academic articles, in books, presented in academic conferences. While the scientific world looks at the cause as “wow interesting,” it goes back into its cocoon of symptom treatment research. Too bad. Those migraineurs that appear at my doorstep–virtual or in person–are saved. Dr Steven Gundry had migraines which disappeared he says after he followed a ketogenic diet as outlined in his book The Plant Paradox. The diet reduces inflammation by monitoring TNF-a for achieving low levels. There are some allowed grains in his diet that are lectin free. I cannot seem to get enough calories on that diet and cut my protein to low levels as it is too caloric restrictive. Increasing carbs seems to worsen a migraine condition but too high protein has other side affects. I have migraines with aura now for 16 years and your ideas sound reasonable and similar to what I suspect is happening. I have been trying to follow migraine research for the last 10 years and have to agree that researchers seem to be looking in the wrong areas. I also have slow lipid clearance but a low LDL-P# by avoiding high saturated fats <25g/day and wondered if you also checked this common by-product on a high fat diet and if one is eating for a balanced micro-biome and had that also tested? I also ordered your book and congratulate you for your efforts. Indeed, Dr. Gundry is on the ketogenic diet but from what I understand, he is on a special version that incorporate near “hibernation” period. So he is following the “rhythm of nature” in his nutrition–or at least this is what he supports. His suggestion of how to get rid of lectin in beans was very well received by me (pressure cooker) and I am following at least that from his guidelines. However, the ketogenic diet is not a caloric restricted diet and so his take on that is not acceptable to me. I also disagree with many of the ketogenic diets that are pushed to the public for mass consumption. I am on my own version of the ketogenic diet and am in the middle of writing a book about it. I currently have nearly 600 people on my version (most are migraineurs but not all!) and no one is starving! In fact, some may not even lose weight if they don’t wish to. In the ketogenic diet most of your calories must come from fat and so if you restrict your fat, you restrict your calories, and you are starving. There is no need to do that. In my group there are athletes and trainers alike–I myself lift weights and kickbox for fun from all the extra energy I get from the ketogenic diet. The high fat diets are known to have a temporary period of fat digestion issues for some–this is primarily caused by eating low-fat foods all of our lives. Those of us who were lucky and, for whatever reason, didn’t follow the low-fat diet have no trouble digesting fat. Perhaps on a very short term it may be a problem but for some it is not a problem from the get go at all. If fat is a problem, there is a supplement that can come to the rescue: Acetyl L-Carnitine. It is specifically an aid for fat absorption. I found that many people had their gallbladder out and so that too can slow fat metabolism, though it is also just a temporary problem, since ultimately the gallbladder is only a bile storage compartment and doesn’t create bile on its own. Bile is necessary to digest fat properly–all fats, not just saturated fats. So as you see, misinformation is everywhere. So saturated fat is not likely your problem. The gut flora in the ketogenic diet is different from the gut flora on the SAD diet. Unfortunately studies are lacking on gut flora. The only thing you can hear from any private testing is that your gut flora is “insufficient” in certain bacteria but I question the need for all those gut flora for the following reason: in the SAD (Standard American Diet) of mostly carbohydrate, there is a lot of fiber. Fiber is cellulose (bark when dried out) and so indigestible by humans. To get any benefit from fiber, the gut flora must ferment it for us–it can ferment about 10-15% in our gut, the only area for fermentation–the shortest area of human digestion. Humans are not fermenters. The question is: what do these gut flora create that humans can use from fiber? They create butyrate. Butyrate is a ketone precursor. Do you need that in the ketogenic diet where all you produce is beta-hydroxybutyrate (ketones)? Not really! This becomes very clear when you travel on the path of the zero carbs (ZC) diet, where you eat zero anything other than meat and fat!! No one has tested those on the ZC diet have any gut flora at all. Yet, the many people on that diet–some for over 20 years and in great health–you can bet they have proper nutrition and bowel movement. Do they need gut flora? No idea. Time to test what they have–only science ignores them because by the USDA food recommendations, people on the ZC diet exist even less than those on the ketogenic diet. So research is lacking and whatever has been done is difficult to publish. I think your problem, rather than fat, may be grains that Dr. Gundry permits. In my version of the ketogenic diet, I permit no grains at all. I have an article on fire on my computer now precisely on this subject, so come back to visit HormonesMatter as it may be published soon. There is nothing like a well-planned nutritious ketogenic diet. I have been on the ketogenic diet for over 3 years without any problems, full of energy, no migraines, and loving life to the fullest. Many migraineurs are doing the same and joined me in a relatively new group specifically for the ketogenic diet for migraineurs, albeit it is beginning now to get many people who have no migraines but want to reverse metabolic syndrome or just to lose weight, the right way. You are welcome to join this group here, but we have some rules. The rules start with answering 3 questions at the virtual gate and reading all reading material shown to you as you locate us. Please read those and if you accept the terms, join. We are a very strict group where safety and good health is #1 and all else is secondary. I am not a follower of Dr Gundry’s diet but have read his book and he only recommends small amounts of non lectin containing grains and from reading his dietary suggestions it seems calorie restrictive and low protein to promote longevity. Where there could be a problem with your version of ZC meat and fat diet is for those with the genotype APOE4 and on that forum many have migraines and also high LDL-P# above 1000 which is a marker for cardio-vascular disease and therefore my question if you have tested for that risk factor as the likely incidence is greater in that population. The threshold seems to be around 25g saturated fat and that is a liberal amount as you point out that fat occurs in a mixed amounts. Should it be high then a Calcium Score would be the next test to see if plaque is being laid down in the arteries. Keeping a low <1000 LDL-P# may not be the answer for APOE4 if there is also defects in the NOx system where beets can cause migraines. The other possible problem I have noticed while observing on two forums over the last 10years or so when I have been researching the subject is that ZC sometimes brings in some toxic gut flora in a few cases. I am slowly making my way through your book. I am quite familiar with Dr. Gundry’s work and his seasonal hibernation-like diet. I agree with his lectin warnings though I would recommend eating no grains at all. I would worry about lectin in dry legumes, like beans. 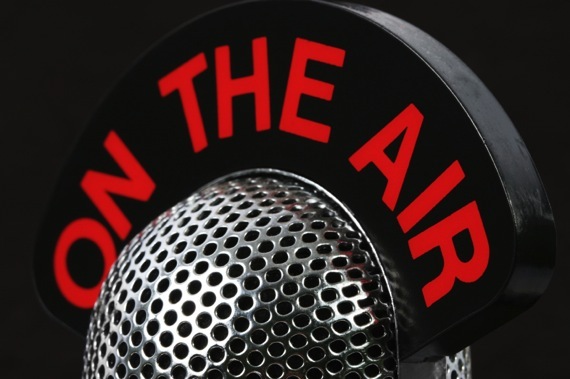 Your question of APOE4 is well taken–I am also APOE4 and initially I was concerned. However, I have been on a near ZC diet (I consume dairy and some seeds and nuts like almonds but eat no greens at all) for over 3 years. I eat an occasional small amount of black beans mixed with almonds to increase nutrition and love raw sunflower seeds. Otherwise my diet is pretty much what I call carnivore diet. And in terms of the markers for heart disease, I have never been healthier. I must add an explanation to this, which is a game-changer in terms of cardiovascular risk. 99.99999999% of the research done After Ancel Keys and his influence is all looking at LDL as a marker for heart disease risk. Sometimes lectures like that are simply painful to listen to because by now we have so much evidence that people who experience a cardiovascular event usually sport low LDL and those with higher LDL live longer, have less chance for dementia or other neurodegenerative diseases, and eating ZC seems to reverse a lot of autoimmune diseases. Hence, using the most common markers for heart disease for APOE4 is just wrong. 3) your c-reactive protein should be low. This is an inflammatory marker specifically for cardiovascular damage you are having at the moment the test is taken (mine is 2.1 and the lab I use has range < =7.4) 4) you homocysteine should be checked and if higher than 8, please have a check of your folate (B9), and B12, B6, and B2 levels and adjust accordingly--note: B12 is often high for those who cannot methylate!! So if are close to or over the max on the lab range, you have methylation issues (initially mine was 9 so I checked all the Bs as above and indeed, I have trouble so takign bioactive Bs of the ones listed) 5) the CAC score (coronary artery calcium score) you referred to is vital. It measures the calcium deposits in your arteries inside and leading into and out of your heart. Your score needs to be <400 (somewhat lab variant). (my CAC is zero) My LDL is not low; LDL-P is 1837 (high) but it is irrelevant; ignore your LDL-P. Instead, look at the above markers and the size of your LDL-P--you need an NMR cholesterol test for this. LDL-P small should be <527 and the size should be >20.5 (mine are 401 and 21.1 respectively). So this much about APOE4… I recommend you ignore the LDL warning. Migraines are caused by electrolyte imbalance and that migraine sufferers are genetically carbs intolerant and glucose sensitive, which causes a lot of electrolyte disturbance. Migraine sufferers do best on a ZC or very low carbs keto diet. In terms of toxic gut flora: ZC diets require different gut flora (if any, this is not established yet) from the standard SAD diet. The gut flora of the SAD diet is based on a specific bio-diverse flora that digests cellulose and insoluble fiber from fruits, grains, vegetables, nuts, and seeds. In the ZC diet there are no fruits, grains, vegetables, nuts, and seeds. What is important to know–and I am just writing an article on this–is what the gut flora does with fruits, grains, vegetables, nuts, and seeds. The gut flora on the SAD diet, is converting cellulose into short chain fatty acids like butyrate and others that are ketone body precursors. A properly formulated ZC diet can be a ketogenic diet. If in the ketogenic diet your natural metabolic processes create butyrate all day long (beta hydroxybutyrate, acetone, and ketones) as part of your regular diet without the use of any gut flora, do you need any gut flora to create butyrate? The answer to this is obvious. Do we need other kinds of gut flora? No idea. I have asked this from many scientists and searched all possible academic publications. Unfortunately no one is willing to answer me the simple questions “do lions have gut flora?” because no one has paid any attention to such matters before. A final thing of importance for full understanding. The paper I am working on now discusses the importance of human metabolic processes. It evaluates the differences in stomach acid composition between humans and other mammals, including the so called “cousins” of ours, the apes. As it turns out, human stomach acid pH level implies that humans were (some time ago) scavengers (not carnivores, not frugivores, and not herbivores). Scavengers have the strongest acid in the stomach to kill of unwanted parasites, etc. I just happened to have this article open on my desk–open access–that you may want to consult. This may help you see a new angle in biodiversity and if humans need gut but flora on the ZC diet or not. There are no answers for this based on scientific evidence–there are only lots of people trying to make educated (or uneducated) guesses and much anecdotal evidence suggesting that what we consider probiotics for SAD is totally wrong for ZC and should not be taken. I will not guess; I go by what my body tells me. I have many articles on the hormonesmatter website on the genetics and the nature of migraine brain; you may want to read those as well and keep an eye out on my article on stomach acid! Please feel free to join my migraine group as well if you wish. I got the book!! I had a migraine & the salt trick seemed to help. I’ll be studying & practing your principles. I feel now that there’s some HOPE .for me. Thank you so much. I’ve been on a low-salt diet for Ménière’s disease (which never did help). I didn’t realize I could be doing myself harm. Yikes. Awesome Mary! Enjoy reading and feel free to ask if you have questions–you also have the link to the group to join if you wish. Hello, and thank you for your work & explanations. I suffer terribly from migraine, with only some relief. Since developing probable coronary artery spasm, I’ve been taken off of ergotamines & triptans. I’ve had 2 cervical facet joint nerve blocks – each only lasted one week. MRI & MRA were normal. I itch from painkillers & cant tolerate NSAIDS. I’m getting my hormones back in balance which can help. I’m pretty desperate here as the pain is quite violent. I’d change my diet in a heartbeat to end this pain. Is it covered in the 2nd Edition of your book? I’d love to hear when it’s out. I’ve avoided Botox, since it is a toxin & has been show in autopsy to reside in brain tissue. But the neurologists here refuse to treat with anything else. I had a terrific response to the SPG Nerve block, but it’s not available in my rural area. Cranial Sacral Therapy has been effective about half the time. I do take magnesium, but will now really watch my carbs. I had no idea. Wish doctors would take this more seriously, instead of just throwing meds at it & shrugging when they don’t work. They don’t seem to care about the level of pain & just want us out of their ER. Except what to do then about the uncontrolled vomiting? As you say, it’s not just the pain. I’m sorry to go on so, but I live in terror of these headaches. I’ve had them since I was 16 & I’m 58 now. And developing flashing lights at my visual peripherery just recently. I’ve been found to have primary immune deficiency this year – to complicate things. But I’ve not yet needed the infusions that can provoke more migraine. Sigh. “”My head is spinning with information. Busy brain, electrical sensitivity, frequent urination, inability to process glucose, dehydration, low blood pressure, sock lines, high heart rate while exercising, etc. I have noticed these things since I was a child. I was made fun of for eating a cookie and spinning out and crashing 5 minutes later. I was made fun of for knowing where every bathroom is in any state where I lived. I was made fun of when the sound of a electric fence would drive me crazy or when I can hear someone turn on their tv 3 houses down. The second edition of my book has been out since October and is sold in every store–the e-book version is only available from amazon but it is for all platforms. Here is a link to amazon sales of the book. This book is a complete guide–a manual from start to finish explaining what migraine is both for migraineurs and also for scientists and doctors. It also details the genetics and connects the dots of over 800 cited academic published literature to come up with the conclusion. The book also has a section (Part 2) that details what to do immediately as you feel a migraine coming on–this section is very short and to the point with directions. I also included the “Drugs of Shame” section I mentioned in one of my articles before, which details the 30 most common medicines migraineurs are prescribed, all their side effects, and why they don’t work. You mention flashing lights–this is one of 34 auras I added to the book that no one knows of that migraineurs have. While literature believes that only about 10% of migraineurs have aura, it appears that nearly all do, only they don’t know they do because their aura types don’t fit the model we are given of what an aura is like… I have yet to have the typical beautiful colorful moving aura, lol, but I am an aura migraineur. Thanks much. I’m ordering your book! So glad I found this website. So glad you found this website Mary and that you connected with me. I have been having headaches since I was 17 and now I am 47. My headaches vary…many times base of neck, eyes, temples, behind ears and top of the head. Mostly menstrual migraine- some times on first day and these days even on 4th day. And I also have them when I’m not menstruating, for instance when the A.C. in the car is on and the windows are shut, when I’m exposed to sunlight or when I’m hungry. The headaches can be debilitating and I tie a cloth around my head and sleep it out. Lights and sounds bother me. I don’t have an aura (don’t know what that means in this case). No nausea. Do I have migraine or is it something else? I don’t believe in allopathic medication but if it’s too unbearable I sometimes take combiflam and it helps. I also take homeopathic belladona. Thanks for your articles and the help you’re offering. Sorry to hear about your migraines. The ketogenic diet is nearly 0 carbohydrate diet and all of what a vegan eats is carbohydrates (fruits, vegetables, grains, seeds, nuts are all carbohydrates). The ketogenic diet is 70% to 95% fat, 4-25% animal protein and 1-5% carbohydrates–the percentages refer to calories. Grains are not compatible with the ketogenic diet at all. In fact, carbohydrates and grains are not compatible with migraineurs. Thus, as a completely grain-based dieter on the vegan diet it is not possible for you to become migraine free. The migraine-brain is not able to metabolize glucose well (glucose and fructose malabsorption) and so in order to become migraine-free you need to completely change your lifestyle. Since migraine is caused by these sensitivities and because it represents a completely different anatomical brain from the brain of a non-migraineur, if you are a migraineur, medicines don;t work. I have treated over 4000 migraineurs in the past 3 years and not one was ever helped by any medicines–including even surgically implanted neuronal stimulators since the problem is carbohydrates and electrolytes. An updated edition of my book: :Fighting the Migraine Epidemic” is going to be released soon. I recommend you purchase that–currently the first edition is selling still but it is now incomplete. You can find both paperback and e-book (works on all platforms) everywhere but here is the amazon link. If you are willing to entertain giving up your vegan diet and at least allow yourself some fish, eggs, and dairy, there is a chance to help your migraines and so please join my migraine group, otherwise there is not much we can do. The vegan diet is nutritionally incomplete and I find many vegans (though extremely thin) to be diabetic (your hunger suggests that) and also extremely dehydrated because vegetables and all other carbohydrates expel water and salt from your body that you are not ever able to replenish. Let me know what you think about what I wrote. I was very happy to read the article on migraines. I started to experience migraines almost six years ago. It was a very frightening experience. It started abruptly one evening with slurred speech. I was hospitalized and had numerous tests done. All tests were negative but I was found to have a PFO. I was told at the time I had a precursor to a stoke and was sent home with dietary information regarding how to lower my cholesterol level. This surprised me because my levels are fine. I have them checked on a yearly basis. I was also advised to take a baby aspirin daily. Two days after being discharged from the hospital, while driving I experienced a sudden numbness in my face, tics or spasms throughout my body(very erratic), increased heart rate, the feeling of lightening bolts going off in my head. I was extremely scared and nervous. I was also grinding my teeth and I still do. Also a burning tongue. Incidentally, I was experiencing this symptom months before and had actually looked up on the internet as to the cause. I had to pull off the road. I was extremely shaky and when attempting to speak my speech was slurred. Went back to the same hospital where I was seen and saw the same resident who had treated me previously. He informed me that I was experiencing a migraine. It was the first time that was mentioned to me. I was shocked and didn’t believe him because I was not experiencing any pain. I did say to him “I’m not having any pain”. He told me I didn’t have to have pain in order to experience a migraine. I was given an IV medication and sent home. My symptoms were not relieved by the medication. Needles to say, my symptoms worsened. I was bedridden and could only walk unsteadily to the bathroom. I lost my appetite and lost a lot of weight. Went to the neurology department of the same hospital and was told “you have a beautiful brain” and they could not give me an answer as to why this was happening. The neuro gist suggested that Elavil might help and that I should have a Tilt Table Test. I ignored his recommendations while still continuing to feel miserable. I then went to my primary care doctor who after listening to my symptoms diagnosed me with generalized anxiety and prescribed Cymbalta. I did not agree with her diagnosis but decided to try the medication. It did help somewhat but I still continued to suffer. I knew I was misdiagnosed and went to see a neuroendocrinologist who diagnosed me with migraines due to perimenopause. He suggested I stay on the Cymbalta because it was helping somewhat. I did try to wean off it twice with disastrous results. I have also tried Topamax, the estrogen patch and other meds to no avail. Interestingly enough, I do have Raynaud’s disease. I will try some of the suggestions in the article. Wow, what an amazing story! You should write this up as an article for HormonesMatter! Information like this is critical, because it helps reveal the nature of doctors’ care from the perspective of the patients! I highly recommend you do. Cymbalta is one of the most difficult drugs to quit. There are some Facebook groups that specialize in Cymbalta reduction. You may want to sign up in a few and find out what they do. Since I am not an MD I cannot advise you but you can certainly listen to others who have come off it and try what they did. In terms of success in your pain-free life recovery, that needs a lifestyle change with a major commitment. I am glad to help you with that since I have a migraine group where we work on a lifestyle change to create the best chance for your body to recover. You are welcome to join. I found that many migraineurs have Raynaud’s and also Ehler-Danlos of at least one type–I am blessed with 3 types… what do you know 🙁 . Looking forward to seeing you in the group and/or learning the tricks of the trade in coming off Cymbalta. I do not have a Facebook account, but I will certainly consider joining. I’m sure I can learn a lot from the migraine group. Wonderful Allison. We look forward to have you! Here is the group to make that easier when you get a FB account. Thank you for sharing your work. It is grabbing my attention. You may also wish to consider the contribution of TRP receptor genes to the migraine process. I believe TRPM variations probably predict who may benefit from magnesium glycinate in migraine prevention. 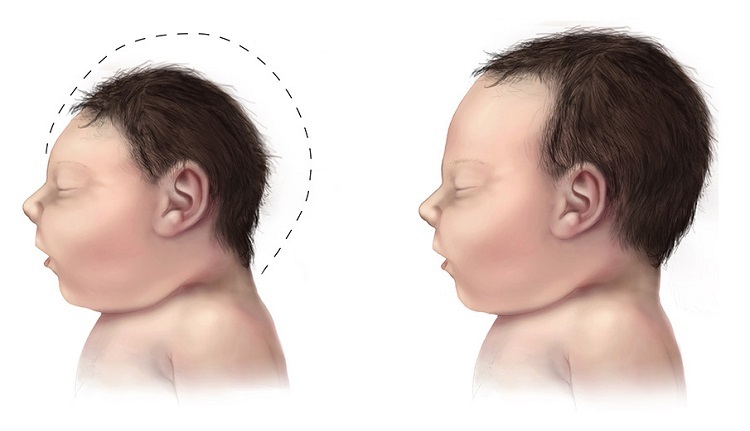 Another interesting gene might be FMO3. I believe Variations in this gene have some implication for tyramine and xenobiotic degradation. I cope with cervicogenic headaches, weather change headaches and menstrually related headaches. Some of these headaches are migraines. I am diagnosed with c-EDS, Hashimotos and mast cell related issues. Lack of a gall bladder and genetic variations in the PPAR-A and FADS genes make ketogenic diets an impossibility. My Interesting CYP450 variations make supplements and medications hard to dose. I’m trying to figure out how to eat, supplement and medicate. Perimenopause has really created havoc for me. I am having success taking 1/8 tsp of Himalayan salt before 12 oz of water upon awakening and before bed. Any other suggestions for diet considerations? PS For multiple reasons, I’m unable to Facebook. So, I miss out on resources there. Migraineurs usually benefit from magnesium but that alone doesn’t solve any of the problems. Magnesium, as you probably know, provides the “key” to open the voltage gated pumps attached to an ATP molecule so that Na and K can come and go. But if there are not enough Na or K, they can have as much magnesium as possible and nothing will happen. I recommend to all migraineurs to take the maximum RDA of magnesium (400 mg) daily, and I recommend a combination of glycinate, malate, taurate, and citrate. So far, I found this combination seems to work flawlessly for most everyone. In terms of FMO3, I have not found that on the migraine genetics literature (I use Genecards) and no migraine-associated degradation of tyramine or xenobiotic discussion anywhere in literature. I believe migraine is now very clearly understood (at least by me if not yet by the scientific and medical industries). I am presenting my findings next month at the AAAS (American Association for the Advancement of Science) that is based on Ionic Channelopathy as the cause of migraine, with genetic variances of highest score among nearly all possible ionic channels that operate electrolyte management for action and resting potential. Once the reason for the electrolyte imbalance is stopped, the ionic channels need not work extra and all migraine issues vanish. In terms of the ketogenic diet–gallbladder is of no concern since that is only bile storage. One can train the liver for quick bile manufacturing–I have been on the ketogenic diet for over 2 years without gallbladder for over 6 years. PPAR-A and FADS can cause problems–assuming they have been expressed. Having genetic testing done and finding variances (homozygous or heterozygous but autosomal dominant) doesn’t mean you have the condition since epigenetics dictates whether you will or will not express the trait. The best way to test that is to get an NMR lipid profile test, which looks at your particle sizes and can truly see if you have expressed or not your lipid profile that would prevent you from the ketogenic diet. In terms of salt: what you are doing is great except if I may recommend you replace Himalayan salt with purified table salt or kosher salt for 2 reasons. 2) Himalayan is an ancient fossilized rock salt that under pressure of the weight of the mountain, as it lifted out from under the sea, has collected a mired of heavy metals that are harmful. See the article I wrote on this earlier here and in greater detail here. The radioactive materials in there a definite negative as well. I’m also trying to understand the possible link between having reduced TRPM3 receptors and pain. This is too simplistic, but I’m Wondering if having fewer TRPM3 receptors causes more sodium to leave cells, leading to more vasodilation, igniting a neurogenic pain process. Presently, reduced TRPM3 receptors are implicated in chronic fatigue/ME. The TRMP3 receptors appear to be related to calcium entering and leaving the cells–calcium has a major connection to pain but not because of what you are thinking. Let me first quote from NIH the definition of the TRMP3 gene: “The product of this gene belongs to the family of transient receptor potential (TRP) channels. TRP channels are cation-selective channels important for cellular calcium signaling and homeostasis. The protein encoded by this gene mediates calcium entry, and this entry is potentiated by calcium store depletion. Alternatively, spliced transcript variants encoding different isoforms have been identified. [provided by RefSeq, Jul 2008]” that you can find here. Therefore, rather than having the TRMP3 gene have sodium leave, the sodium may not be able to let enough calcium in or it may let in too much calcium–dependent upon the sodium-potassium homeostasis, which is Independent from the TRMP3 gene as per the definition above. Rather we need to look at what calcium does in the neuron and how it signals to pain sensors and then look at why this happens to understand it. It is complex and fascinating by the way! The role of calcium in the cell is to kick neurotransmitter out of the neuron. Neurotransmitters collect in little vesicles in the base of the neuron in the “feet” that we call terminal buttons. This of each vesicle as little sacs that are full of neurotransmitters. In the “communication in the brain” are the neurotransmitters. 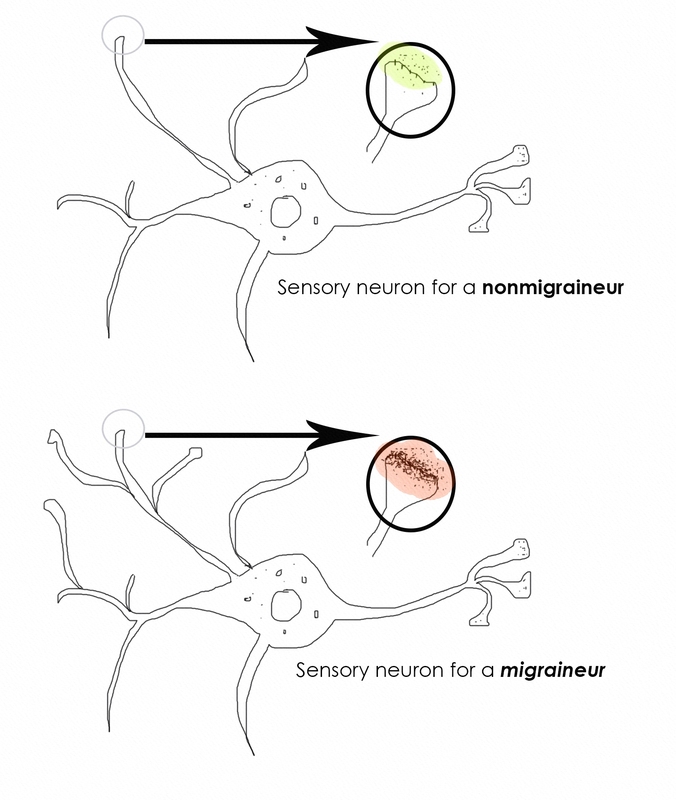 However, the communication must be constant because if one neuron stops communicating, the connecting neurons prune their connections (called synaptic pruning) and connect to other neurons instead–assuming there are any communicating. If there are no nearby neurons that communicate, much synaptic pruning may occur and this may be permanent if there is no action taken. Luckily the brain is resilient and adaptive in most cases. Now let’s look at how calcium kicks the neurotransmitters out of a neuron. Voltage dependent calcium channels are high voltage channels. This high voltage suggests that there needs to be enough sodium entering the neuron all through the length of the axon with every single voltage dependent sodium and potassium channels and pumps working perfectly–this is called a spike train as the voltage jumps from node to node (Nodes of Ranvier) between sheath of myelin on the neuron. 1) the voltage is large enough and all neurotransmitters are released in a timely fashion. This is a healthy brain with healthy response so neither pain nor fatigue or depression follows. 2) somewhere along the spike train some sodium and potassium pumps and channels were not working and voltage stopped short of reaching the terminal buttons. This is a problem because if there is not enough voltage, neurotransmitters are not released from that neuron. When a range of neurons are experiencing the inability of releasing neurotransmitters, the range is experiencing cortical depression (CD). If you are an aura migraineur, the blind spot you see is the area that is in CD. The problem starts here. Since neurons communicate, when a region goes offline like this, the other areas of the brain send a large voltage wave called cortical spreading depression (CSD), which is a wave of energy that travels at the speed of 2-5 mm per minute and if this voltage wave reaches the dura (meninges), that is where the pain sensors are located. This CSD is also what is the aura, which is the visualization and touching of every neuron as it passes by, exciting it into action. Should the CD region awaken from this electrical shock, the wave stops and the pain is averted. So now you can understand the role of calcium’s main function associated with neurons in general. 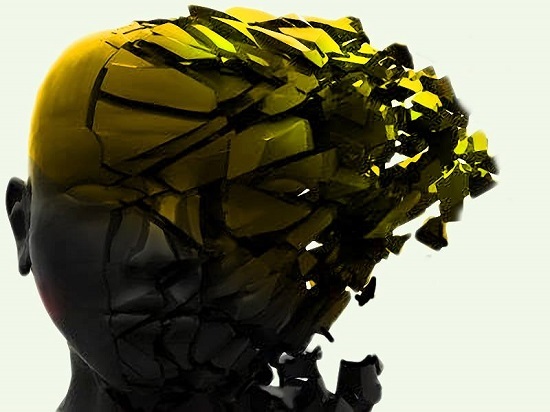 The way this connects to chronic fatigue is similar to migraine only without having the migraine brain, which is architecturally built different from a non-migraine brain. Thus, the very same phenomenon also causes chronic fatigue and also depression. In the case of depression, the brain region involved in lack of activation is deep within the brain and is very specific to mood whereas chronic fatigue is a general area and migraine is a general area but with a genetically specific migraine brain. I hope this helps you see that it is not any one thing–it is not just the TRMP3 gene but how all functions neurons must do interrelate and any one step missing causes chaos. Hi, I am suffering from very intense headaches with my perimenopause symptoms. This also happened when I was in the first trimester of pregnancy. The headaches last for days and seem like migranes to me. I’ve always thought of them as such, but they are not one-sided, rather, behind the eyes and at the base of the head. It feels like my whole CNS is in pain, and my whole body has been run over by a bus, with some digestive upset as a kind of mean-spirited cherry on top. What I am trying to figure out is the link between fluctuating hormones and headache. Why, and I mean in the body specifically, what happens to cause hormones to trigger a migrane? What is the connection between what your research is showing and hormone triggered migranes? There is absolutely no doubt in my experience that these headaches are related to my hormone shifts. I have explored the Paleo diet for a couple of year, at the end of which my hormones were more out of balance than ever and I was experience worse headaches. So, I am confused at to how all this research fits together and I hope you can point me in a direction to clarify the situation. Very sorry to hear about your suffering. It seems there are a few possibilities in terms of what your headache is. Since it starts in the back of your head, it appears to be starting as a cervicogenic headache, which is not a migraine, but which can morph into one if care is not taken. Cervicogenic headaches are caused either by a pinched nerve in your upper back, shoulders, or neck, or bad posture, a bad move, holding your head in a bad position from stress, etc. This is a “postural” headache. Cervicogenic headache need not be on one side. When the pain arrives into your eyes, that tells me that it can also be occipital neuralgia (ON), also not a migraine, but a permanent damage of the nerve that goes from the eye to the occipital cortex (in the back of your head). ON can be caused by many things, among them having taken quinolone antibiotics, such as Cipro or Levaquin–all antibiotics that have “floxa” in the generic name like Cipro generic is Ciprofloxacin, can cause ON. These antibiotics are now labeled with a warning box that includes ON in addition to a few other things. Pain in the eye, if “stabbing” like pain can also be cluster headaches. So the cervicogenic headache may also morph into that. If you have cluster headaches, it feels like someone is constantly stabbing you in your eye(s). It is also called “ice pick” or “suicide” headaches… for good reason. They are the most painful. For most, cluster headache is also only on one side but I suppose there are no rules in that one. There is a great overlap between migraine, cervicogenic, and cluster headaches–not so much ON. It seems that many people with cluster headaches or ON are misdiagnosed so if you have the stabbing eye pain, please visit your doctor. Cluster headaches benefits from oxygen use right as the first pain occurs. ON requires a different treatment, usually nerve block. Though given that you have this only once a month, I don’t believe you have ON. Cervicogenic headache will morph into other headache types if not stopped on the spot. Many people benefit from a very deep (nearly painful) massage of the back of the head and neck. Some people take simple OTC medicines and they stop a cervicogenic headache before it becomes a monster. Once you let it pass onto the front of your head, it is not that easy to stop the pain! Your upset stomach hints at the depth of the pain–it is probably quite intense. 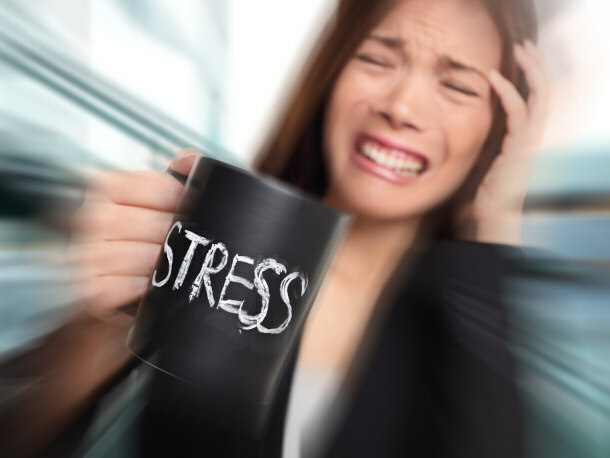 In general, hormonal cycles initiate all kinds of pains–including headaches and those with migraine-brain, migraines. To get a migraine one needs to have a migraine-brain. Since migraine always has prodromes and you don’t, and since your pain is on both sides, we can exclude migraine. However, the preparation for your PMS is important no matter what causes your pain. Pain can be caused by eating too much cabs (grains, nuts, seeds, fruits, vegetables, juices, smoothies are all carbs not just sugar and sweets! ), and, of course, at PMS times women always crave sweets. The craving hints at voltage energy need in the brain (salt and water) so at the time of craving sweets, have a piece of aged cheese or olives or just salt and water. This will help you prevent the pain. I have an article written up on this that you can find here. You may find it helpful. Very interesting, but why only migraine on the first day of my period?? This is all fascinating! My daughter has suffered chronic migraines for 17 years. Her favorite food is a sandwich and diet ginger ale. How do I help her with her diet?? Thank you for all your hard work!! She has mentioned giving up. She is worn out with the fight. I just pray each morning she will wake up. It all began around puberty. Is there a connection. She also suffers from vertigo. Very sorry to hear that your daughter has been suffering for so long. Glad to help. Unfortunately her favorite food is a problem–and probably other foods as well. Because migraine brain is such that glucose causes energy shortage, the brain–not knowing any better–craves more glucose. This is normal since for most people glucose is the main energy source for the brain. Sandwich is unfortunately made from bread and bread (of any kind) is instant glucose and is void of all nutrition. Most migraineurs do much better by stopping all grains–including gluten free alternatives. Unfortunately grains are extremely addictive, more so than sugar. They are very hard to give up. Grains also represent a very large percent of the calories in an average modern diet so one is left without fully understanding of what to even eat once grains are stopped. Diet drinks are also a very bad choice since 1) some sugar substitutes can trigger migraine and 2) they lead to obesity and insulin resistance, something migraineurs are predisposed to already. They also mislead the brain by tasting sweet and so the brain expects carbohydrates, which doesn’t come and so diet drinks, in some ways, are worse than sugary drinks. There are a few alternative nutritional methods but they all start by having to quit refined carbohydrates, sugar substitutes, and reduce other carbohydrates as well. There are many medical groups online that can help but they are not free. If she needs guidance on how to change her lifestyle, a migraine group, such as one of mine can help and is free. This is my “starter” migraine group that helps migraineurs change their lifestyle and which has been extremely successful. From this there are many choices for those who need further dietary changes–I also offer a ketogenic process specifically for migraineurs–also free. Please reassure your daughter that there are thousands of migraineurs like her (I am one of them), who managed to overcome and become migraine and medicine free by a modification of lifestyle. She needs help by guidance and support on how to, and given your help and support, she can overcome. Thank you for reaching out in her name for help! <3 Please recommend her to read to article and to join us in our free Facebook group for guidance. We are glad to help her. I meant to type chronic fatigue and chronic pain.. not just chronic fatigue in my comment above. I think it is also very important to consider the comorbidity of ion channel disorders also disrupting the electrolyte balances causing migraines. Diagnosed with a considered rare ion channelopathy of potassium channels I suspect I may actually have several. Possibly a second one in the sodium channels. I have chronic fatigue well beyond the original injuries that seemed to trigger it. My body reacts to minor shifts in my potassium level. High sodium intake as well triggers pots sudden muscle weakness and even paralysis attacks. I was considered neurotic and suffering somatoform symptoms. Curiously connective tissues also are a known comorbidity and happens quite frequently in those with ion channel disorders. I am hoping to receive my genetic data and have educated myself on the mutations that I could be carrying. Insulin surge is known to cause potassium drops that are manageable by those with out serious ion channel disorder but can prove disastrous for many with one of the periodic paralysis disorders.Three female relatives died from cardiac arrythmias while treating diabetes with insulin injections. Your comment is correct about the ion channels–this is what the article is about. Sodium channels are included under Na+ (there are many sodium channels and several are affected by genetic variances). In terms of insulin surge and potassium: you stated it backwards. Increased insulin production (insulin surge) or administration (by pumps) can cause a state of hyponatremia (not enough sodium) as a result of glucose entering the cells, removing Na+ and water. You can see this in this quote form my medical manual: “…serum Na+ falls by 1.4 mM for every 100-mg/dL increase in glucose, due to glucose-induced H2O efflux from cells” (Harrison’s Manual of Medicine, 18th edition, page 4–citation #4 in the article). Potassium is usually inside the cells whereas sodium is outside and sodium enters to generate action potential. Thus high glucose causes leaching of the cells and they cannot create action potential. Potassium is responsible for resting potential, which returns the cell to a brief refractory period of no action at all–the period that is the most dangerous. If there is a voltage gated sodium ionic pump failure and not enough sodium can enter, the cell cannot snap out of refractory mode at that particular point. As you likely know, a neuron is not a one-shot game but Nodes of Ranvier break up the surface of the axon. It is only at these Nodes that sodium and potassium can shake hands in one coming and the otehr going. There are many such pumps. The failure of many of these pumps at any one Node can cause the entire cell from being able to continue to generate action potential. This knowledge has yet to be visualized by scientists and doctors although big pharma has its handle on it perfectly well–hence the many ionic channel blockers migraineurs are given to take. The thought is likely that “it is different so we must turn it down” to prevent a migraine attack. The ensuing shutting down of the brain seems inconsequential. So, to continue, those with insulin problems (and this includes migraineurs) have an ionic imbalance. This is why increasing sodium is necessary. There are many comorbidities but ion channelopathy is not one of them since migraine seems to be one of the kings of ion channelopathy itself–it is not a comorbidity. This is shown in the table where I have 16 genetic variances shown–there are more at that database. They are all but a couple reflect ionic channel variances. So migraine IS a form of channelopathy. There are comorbidities with other health conditions that I didn’t mention but often appear together: chronic fatigue, depression, seizures, fibromyalgia, and many more. The reason why I mentioned only a couple because most neurological health conditions are, in some way or another, connected to ionic channel problems, electrolyte disruption, and myeling sheath damage. It is worthy to mention that many people with such comorbidity manage extremely well on the Stanton Migraine Protocol®, LCHF, or the ketogenic diet. The trick is reducing carbohydrates such that a particular threshold is reached. This I call carbs-threshold and some people I test with it but not all–this is not used in the ketogenic diet approach. I highly recommend all migraineurs to test their glucose since the question is “when” rather than “if” insulin resistance will knock on the door unless they completely honor the brain they have–as described in the article. To date over 4000 migraineurs have responded extremely well to the Stanton Migraine Protocol®, and recently I started a “keto mild for migraine” group that specifically addresses how to apply the ketogenic diet to migraineurs. If you have ion channel health conditions, I highly recommend you do invest in a blood glucose testing kit. They are cheap and very telling. I find that fasting blood tests are not very useful once one is on the LCHF diet or one that even eat less carbs, because the Dawn Effect of hormonal surge uses insulin receptors, causing an increase in glucose reading (glucose backs up until those hormones are cleared) and also with the liver “dumping” glycogen as a result of fasting, which can end up showing a high fasting glucose as a result, giving misleading information about your health condition. The cardiac arrhythmia you refer to (or if death I would call that atrial fibrillation or a-fib) are caused by hyponatremia rather than hypokalemia. Many new studies are coming out now showing how our reduced sodium diet is hurting us. If you are predisposed to a-fib, keeping to proper electrolyte balance is vital. Since I am very much subject to this as well, I can also share that every time I had an episode in which I landed in ER, my electrolytes showed way low sodium (not potassium). So be careful what is low. Do get frequent blood tests including the electrolyte panel to ensure you are where you should be. I also recommend you invest in a home blood pressure device since that is very telling what you need! Hope this helps answer some of your concerns.